A house is probably the biggest purchase you will ever make, and buying your first home can be stressful and confusing. There’s a lot to consider, but there are many things you can do to make the process run more smoothly. When’s a good time to buy? A wish list that describes everything you want in your new house can act as an ongoing guide — it’s an excellent thing to come back to as you look at properties and receive well-meaning advice from various sources. Work out what it is that you want from your first house, and write it down so you can come back to it regularly. What type of house: apartment, house, townhouse? How many rooms and bedrooms will you need? Would you like a garden? If so, how big a garden? Do you want a new house or one that you can renovate or extend? How close do you need to be to shops, public transport, schools, hospitals, childcare, parks, beaches etc? Aim to buy the best house you can afford. To work out how much you can afford, approach your bank to see how much they can lend you. Also see what deals a mortgage broker might be able to get you, so you can compare your options. When you’re working out your budget, make sure you take into account property taxes and other fees, and consider the different interest rate options. A fixed interest rate may seem higher initially, but a variable interest rate comes with more risk. As a general rule, it’s usually a good time to buy when it’s a bad time to sell. If it’s a buyers’ market, you’ll be in a better position to bargain. Visit any house you’re considering buying several times, and at different times of the day. You want to get a good sense of what it might be like to live there. What the neighbors are like? Do they seem friendly? Noisy? What’s the temperature and light like in the house at different times of the day? Is there any traffic noise? Is there any noise from nearby public transport? Are there any renovations that need doing, or any fittings or carpet that need replacing? Most importantly: does the building have any structural problems? Take the time to make sure you’re not paying more than market value. Look at how much properties in the area are worth and compare that to what’s being asked. A property boom in the area you’re buying might mean there’s not a lot of money to be made on the property for at least the next seven years, which is not necessarily a problem if you’re wanting to stay in the house for a while. Make sure you keep in mind how well the property will accommodate any changes in your life over that time. The process of purchasing your first home can be both exciting and overwhelming, but keeping a few things in mind will help ensure that you make the right decisions and purchase the right home for you. If you remember these four things, you are sure to purchase a home that you can be proud of and comfortable in for many years to come. It might seem simple, but a lot of people borrow as much as the bank will allow them to when purchasing a home. Just because a bank thinks you can afford something doesn’t necessarily mean that you can. So make sure that you sit down and take an honest and good look at your financial situation; this can help you get into a home that is right for you and that won’t put you into a financial bind. You shouldn’t just look at the cost of a house when determining what you can and cannot afford; it is also important to look at other associated expenses, such as upkeep and maintenance. For example, will you have to find and pay for extra space storage? Are the taxes higher than in other nearby locations? Thinking about these things can help you set a budget that you can stick to without feeling too much pain in your wallet. Hiring the right real estate agent can make the difference between a good buying experience and a horrible one. Look for someone who is knowledgeable about the housing market in your area and who is willing to work with you and your needs without trying to push you into a home that you don’t like or can’t afford. It can be easy to fall in love with a home as soon as you walk through the door, but this can cause you to make a lot of poor decisions. Even though it isn’t easy, try to remain level-headed so that you will make the right choice, and take the time to sleep on the idea for a couple of nights before signing any paperwork. These four tips seem simple, but they can really make the difference between ending up with the perfect home and ending up with a house that just isn’t right for you or your financial situation. If you follow them, you are sure to end up in the perfect first home. For many Americans, buying a house seems like a dream that may never be achieved. 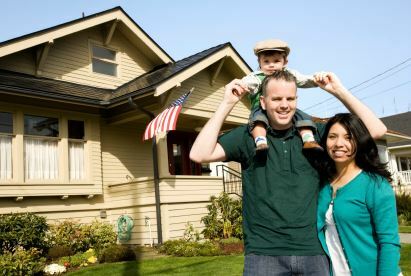 Without adequate savings for a down payment or poor credit, home ownership can be difficult to attain via traditional means. Often, renters feel as if their monthly payments are going toward providing a better life for their landlord, and not as an investment for themselves. Lease to own homes can be a beacon of hope in these situations. Combatting the two big obstacles that wishful homebuyers struggle with the most, credit history and lack of savings, rent to own homes allow tenants to start applying some of their monthly payments toward the cost of the house they live in. At the end of a specified term, they then take over the property themselves. Let’s take a look at some of the benefits of this strategy. When renting to own, a contract is put into place that dictates all terms of the transaction. The rental payments will be somewhat higher, but a certain percentage of those monies will be put directly toward the price of the house. This means that the money you pay anyway will be automatically saved and invested in your future home. The price of the property is agreed upon up front so that as the contract goes on, the renter (soon to be the owner) is already gaining equity. Using this strategy, start-up costs are minimal in comparison to buying a home outright. The buyer pays the landlord an option deposit plus the first month’s rental payment, and the contract is in place. The option deposit goes 100% toward your down payment, and money from your monthly payments is applied directly as well. This results in a significant increase in the time it takes to pay off the debt, as typical standard mortgage payments are comprised of principal plus interest. If anything happens and the buyer wants to get out of the contract, the landlord keeps the option deposit. No credit check is necessary, as approval is solely based on the landlord’s discretion. The contract will protect both the buyer and the landlord. All of the terms are clearly laid out, including the sale price, how much the monthly payments will be during the contract, what percentage of rent goes toward the down payment, and who is responsible for utility payments. If any major maintenance issues come up, the landlord is still usually responsible for the repair, or the buyer can walk away from the deal. In addition, the landlord continues paying property taxes, since they are still the owner of the property. Being able to get started with so little on a lease to own property means that the buying power is significantly increased. Each monthly rental payment can be viewed as an investment, and you’ll feel the pride of ownership even before the contract has completed. In most cases, there is no additional down payment needed at the end of the contract, and your credit history has had a chance to improve, making financing much faster and easier. If you educate yourself on the process and agree on a fair price for the home, rent to own homes can help you obtain your dream faster. One of the biggest investments that you will ever make in your life is purchasing your home. Most people that purchase a home will spend decades paying it off, which makes it very important that you purchase the right home and at the right price. When you do decide to purchase a home and are looking for houses for sale in Jacksonville, NC, there are several things that you should do when looking to apply for your mortgage. When looking to apply for a mortgage, the first thing that you will need to do is pull your credit ahead of time. One of the most important factors that banks will take into consideration when deciding whether to approve your loan is to review your credit report. Your credit report will give a bank insight as to what other debt you have outstanding and how well you manage your finances. Pulling your credit report and score is important because it will give you an opportunity to find negatives in your report and fix the problem areas before you apply for the loan. Doing this will greatly increase your chances of being approved for a loan and receiving an affordable interest rate. When you are looking to apply for a loan the second thing that you need to do is gather all of your financial data and paperwork prior to starting the application process. When applying for a loan, you will need to provide a ton of personal information including old tax returns, pay stubs, bank statements, and other pieces of identification and personal finance verification. Since it can take a long time gathering all of this information, it would be a good idea to start as soon as you can. This will ensure that you are prepared and do not delay the application process. When applying for a new mortgage loan, another thing you need to do is to ensure that everything you submit and fill out is accurate. You will probably spend several hours filling out the applications, which can be exhausting. While it may seem like a better option to rush through everything, this could cause you to make mistakes. The loan underwriting team will ultimately catch even small errors. This could cause you to make changes and end up cause a significant delay in receiving the loan. In an environment where interest rates are rising, this could cost you a lot of money. Getting your first mortgage is an education in and of itself, and many new homeowners make a few mistakes along the way. Unfortunately, some of these mistakes can lead to a foreclosure, and you may face lasting damage to your credit score, resulting in the ruin of your dreams of homeownership. Learning about these potential mistakes beforehand can help you avoid the debt trap and ensure that your dreams of home ownership are realized. It’s all too tempting when the bank approves you for a nice big loan and you can get the house of your dreams and worry about making the payments later. This trap was a big reason the housing crisis occurred. Just because you are approved for a certain amount doesn’t mean that you have to hit that limit. It is much better to get less house and have more room in your budget. Remember, you can always upgrade when your finances are more secure and you have more equity in your home. Starter homes may need a lot of work and they may be a little small, but it’s better to start small and end big than start too big and end up in foreclosure. Another common problem first-time homeowners face is the issue of overextending and overspending. You’ve got a new house and you want to fill it with new furniture and make improvements to it. This means opening up store credit cards, maxing out your current cards and ending up with a lot more debt than you planned. In time, you’ll end up struggling just to meet the minimum payments. Self-control and will power are vital tools for a first time homebuyer. Don’t get carried away and make the mistake of thinking you’ll get caught up later. In the real world, things happen. Jobs aren’t permanent and great health is never a guarantee. Avoid placing yourself in a position to lose everything, just because you wanted a few more things for your house. If you’ve already made some of these mistakes, don’t despair — there is a way to get out of it without losing your home. Most banks are more than willing to do a mortgage modification that will help you keep your house and get caught up on your payments. Loan modifications can be used to help spread out what you owe over a long period of time, refinance your current mortgage to a lower rate, or even move some of your current payments to the back end of your loan. In addition to a mortgage modification, you may also want to consider getting a debt consolidation loan to help you pay off your credit cards and lower your monthly expenses. In order to get a mortgage modification, you will need to explain your current situation to your bank and discuss how you would like to modify your mortgage and what your options are. The bank will need to see your current income statements and any other documents you can provide to back up your situation such as medical bills or proof that you’ve lost your job. Be completely honest and make sure that you can uphold the new loan agreement before you accept the loan modification. The search for the ideal home can be challenging, and when you finally come across a house with all of the features on your must-have list, it’s natural to feel a growing sense of excitement. Before you get swept away by the exhilaration of finding the perfect property, however, make sure you haven’t overlooked anything that could leave you with buyer’s regret. Here are six things that should never be overlooked when buying a home. A home inspection helps ensure that the property is safe and in good condition. The inspector is trained to discover faults that aren’t apparent to the naked eye. If major flaws are found, you may be able to negotiate a lower price from the seller. As important as a home inspection is, there are some issues that the inspector might miss. For example, home inspectors rarely scale the roof for a close-up look or measure the efficiency of HVAC systems. It may be worthwhile to hire specialized contractors for more thorough evaluations. 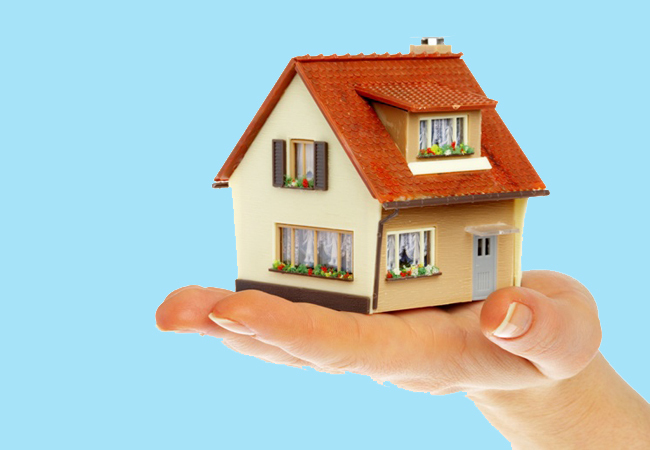 Basic title insurance helps protect you against any prior liens against the property. Extended title insurance, also called survey title insurance, includes a site survey that can save you from fights with your neighbors over the property’s boundaries. It also determines if there are any easements on the land. Many newer homes are in exclusive neighborhoods, many of which have homeowners associations that help ensure that homes retain their property value. Attending a meeting or reading the meeting minutes is a savvy way to scope out any potential problems in the neighborhood. Occasionally, the things that make a home stand out from other properties in the neighborhood may actually make the home harder to sell in the future. A Naples FL Real Estate agent advises against purchasing homes with unusual floor plans or homes that use a lot of novel materials, as these things may make the home difficult to market to the average buyer. Hidden within the legalese of transaction documents can be things like disclosures that protect the sellers from issues with the home such as mold, radon, asbestos or lead paint. You may wish to hire an experienced attorney to review the contract before signing on the dotted line. Falling in love with a home is a heady feeling, but it’s critical to make sure that your decision to purchase the property is based on reason and careful consideration, not emotion. Take the time to ensure that the home that’s captured your heart is a good investment, and you’ll be satisfied with your choice for years to come. Finding a dream house is usually top on everyone’s list of life goals along with finding the right career and finding the right life-partner. However, you will achieve this goal much faster if you are financially savvy, and understand what it will take to get you into your dream home. With the right tools and knowledge, making the move to your ideal home can become a very real possibility; here are just a few ways you can make the dream a reality. Many people have a dream home in mind, but they are already living in a home they can’t afford. As we will discover in the following tips, getting into your dream home requires saving. You can’t save for your dream home if you are behind on your payments for your current home. Consider downsizing for a while, maybe even thinking about moving into an apartment for a while and paying monthly rent in order to work your way into the dream home. Moving professionals who provide public storage in Santa Monica deal with many clients who are keeping a majority of their belongings in storage temporarily, until they can get into their dream home. Be willing to downgrade in order to have a better chance of upgrading. One of the most important aspects of signing on for a mortgage is understanding how your credit score can determine your interest rate. While it may seem insignificant, the difference of a few percentage points on a mortgage’s interest rate can cost you thousands of dollars over the span of only a few years. Sometimes holding off on a mortgage signing for six months or a year to get a better interest rate via improving one’s credit score can be the best investment a buyer can make in acquiring a new home. Did you know that the mortgage on a $300,000 house and a $400,000 house can be exactly the same, depending on how large of a down payment you make? Taking a year to work and save so that you have more to put down on a mortgage can mean that in the long run, you save money on a nicer and more expensive house. Many people want to be in their dream home right away, but they don’t realize that if they were to spend a little time saving, the process would be much easier for them. If you’re considering buying a dream home, patients can be a major virtue. Use your first house not as a dream home but as a means to a dream home, and you’ll be on the right track to the right house for you. Buy a fixer-upper, increase its value, sell it at a profit, and use that profit to put a down payment on a more expensive dream house. Doing so will give you major capital to invest in the house you want to spend the rest of your life in. This won’t happen overnight, however, so be prepared to put in the work without seeing results until the end. Speaking of hard work and increase the value of your home, don’t forget that we live in the age of the do-it-yourself-ers. Fixing up a house with “good bones” (i.e. a sound structure) is a wonderful way to increase a home’s value by exponential degrees. But learning to do home improvement right is tricky; you don’t want to do damage by not following proper procedures. This is why it’s important to find a local class on DIY and really get to know the field, or search the internet for instructions and step-by-step videos. Ib this day in age, you can learn how to paint a wall, how to replace floorboards, how to remake a bathroom. The pay-off when you sell your home will be immense, and the money that you would have paid a professional can go into saving for the dream home. If you’re a first-time buyer, you should understand that there are incentives put in place for people just like you that will significantly reduce the cost of your purchase. This can mean lower interest rates on mortgages and better deals on down-payments. Such incentives can save you tens of thousands of dollars on your first home, and sums like that are nothing to laugh at! For these reasons, it’s important to know the ins and outs of home-buying, and why having a game plan and a good amount of patience will pay enormous dividends in the future. Mostly, however, enjoy the process of turning your dreams into your new reality! Purchasing a new home is a major investment. The costs associated with this type of endeavor are always significant. Here are the top five expenses that new homeowners should become aware of. It is obviously important to keep your home comfortable throughout the year, whether it’s by using air conditioning during the summer or warm heat during the winter. However, it is important to use your utilities economically. Overuse will lead to excessive bills and financial difficulties. Utilities tend to be much more expensive for houses, as opposed to apartments and condos, due to the greater amount of space. Always make sure to save enough money to cover your utility costs. The pipes, walls, and roof are just some of the parts that will need regular maintenance in your new home. For all of your needs. using quality services will save you money in the long term because a well-maintained home is likely to sell for significantly more money than a poorly maintained one. If your home is in great shape, you may be able to make a profit by selling it for more than your purchase price. If you are moving into a new home after renting an apartment or a condo, it’s likely that you are going to need to purchase new furnishings. Whether it’s sofas, new carpeting or tables and chairs, the costs of furnishings can add up quickly. Some new homeowners go on furnishing shopping sprees, undeterred by the prices because they seem so low compared to what they paid for their new home. It is wiser to spend carefully. Try to make a list of a limited number of items and then attempt to find the best deals available. This type of insurance is crucial because it protects your property and investments if something catastrophic occurs. The premiums can vary considerably depending on the policy. Some homeowners are able to save money by purchasing homeowner’s insurance through the same company that they use for automobile insurance. This is another major expense that new homeowners must get used to. Property taxes are assigned based on the value of your property. They can vary annually. New homeowners who factor all of these expenses into their monthly budget will be much more likely to reduce financial stress for themselves and their families. With proper planning, you can achieve your financial goals while enjoying your new home. If you’re a homeowner thinking about selling your home in the near future, you might be focusing on things that will increase the value of your home. However, many people overlook existing factors that are lowering their home value, and since they are unaware of these issues, they are unable to rectify them. As you prepare to sell your home, look out for these six examples of things that can cause your home to go down in value. Families want to send their children to the best schools they can afford, meaning they’ll make an effort to avoid areas with schools known for their subpar performance. This drives up real estate prices in neighborhoods with good schools and drives down home values in those that have less effective schools. If you live in a neighborhood with a reputation for poor schooling, you will probably have better luck selling to a childless couple or older individuals. Future homebuyers will not be interested in appliances that look like they should have been replaced decades ago, nor are they interested in paying for new ones. For this reason, it pays to keep your appliances current. Not only will modern appliances entice more people to buy your property, they just might increase the value of your home. Even giving your existing appliances a simple tune-up or a deep scrub will help potential buyers to see the value in your kitchen or laundry room. Homebuyers won’t want to pay for repairs due to poor maintenance or replace old utilities, and will likely expect these costs to be deducted from the asking price. Some homebuyers may even want a further reduction. This is why it makes sense to invest in your home to keep it properly maintained and in good shape. The professionals of All-West Glass Ltd who specialize in windows in Edmonton suggest that if you are planning on selling an older home, you replace the windows or any sliding or french doors. The investment will increase the value of your home and help it look newer to potential buyers. Although it seems counter-intuitive to spend money on repairs for a home you won’t be living in, these types of investments will allow you to get more for the home in the long run. Many homebuyers, especially those with children, are not interested in pools. The reason for this is that pools are believed to create legal liabilities and are hassles to maintain. Heating bills and insurance costs also hurt the appeal of having a pool. However, very large and upscale homes are more likely to have buyers that are looking for their own pools. If you live in a warm area where everyone in the neighborhood has a pool, this could be an asset for you. However, for many potential buyers, a pool is just more work and more money for them and could deter them from buying. Hot tubs are seen by some to be a great way to relax after long and stressful days, but there are homebuyers who aren’t interested in hot tubs that were once owned by other people. After all, they are ideal environments for microbes such as bacteria to grow and develop. While a well maintained hot tub generally shouldn’t be subject to issues like this, maintenance costs are another issue driving homeowners away from properties that feature hot tubs. Like the pool issue, it may appeal to some home-buyers, but depending on the climate that you live in, this feature may deter buyers more than it attracts them. There’s no doubt that adding landscaping is one of the best ways to make a home look more attractive. Overdoing it, however, will create a maintenance nightmare for the next owners of your home. What’s more, if no effort is made to maintain a large amount of landscaping that is added, it can go from beautiful and mature to a huge eyesore faster than most people would imagine. Creating a yard that is simple, attractive, and easy to maintain will attract more buyers than a home with an elaborate yard that requires hours of work and hundreds of dollars. The key to landscaping is don’t overdo it. While many families looking to sell their homes try to focus on the value of their home, it may be more beneficial to look at your areas of weakness. By doing a few quick tune-ups around the home and simplifying your home for potential buyers, you are more likely to increase the overall value of your home. Even if you only have a few things dragging down the cost of your home, it will be worth your time and money to fix up any blemishes or issues in order to get more out of it in the end.